“At the end of 2014 I had an immediate urge to release a solo piano album which I recorded some time ago, and I was looking for a specific occasion to do so. I wanted it to be a nice surprise for everyone, so I thought of a meaningful release date to begin with. Seconds later it came to my mind: I was about to create my own holiday in order to come up with a reason for this release. Moreover, if I could be proud of something, then of being responsible for an annual celebration of the piano. 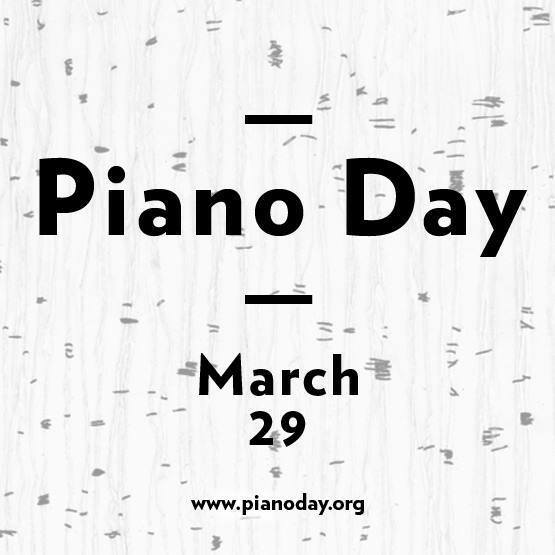 And here comes the best bit, Piano Day will happen on the 88th day of the year, which most of the time is the 29th of March. Piano Day is intended to be the most joyful of all holidays”.